Anakiwa 401 is a great place in the Marlborough Sounds for action or to unwind. Whether you love kayaking, mountain biking, wine or native bush walks & wildlife, the Marlborough region offers an outdoor paradise. 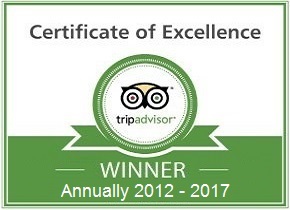 We are happy to assist you with your Marlborough activity selection and booking. Explore the bay and nearby coastline on our stable sit-on kayaks (free for 2 hours). Take a leisurely bike ride along the bay road & Link Pathways track on our guest bikes. Short walks or longer day walks. Experience a local night walk and see a cascade of glow-worms. Swimming from the sandy beach & jetty. 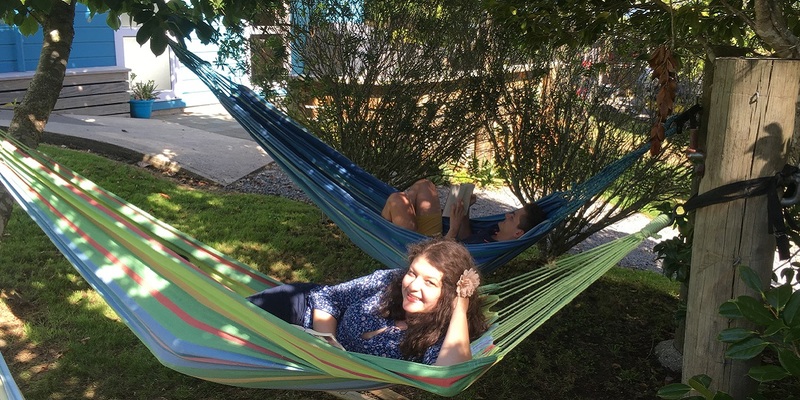 Rest & relax in our landscaped gardens & hammocks. Visit local art & craft studios along the Queen Charlotte Drive. 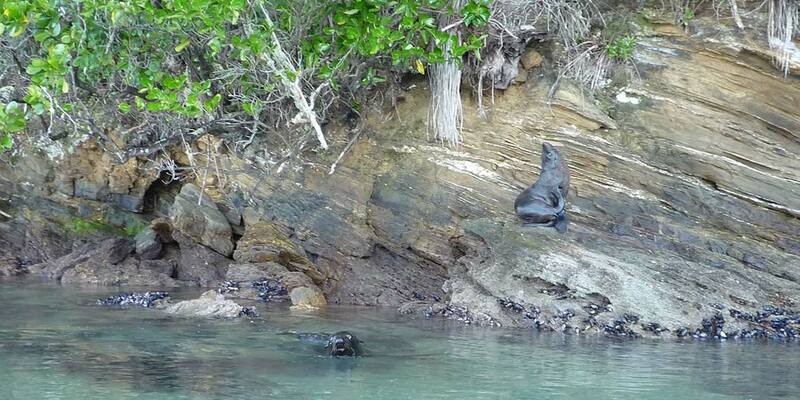 Wildlife Watching – see native sea & bush birds, seals and hopefully a dolphin! Enjoy an underwater experience near the beach with our snorkel, mask & fins. There is so much or so little to do from your base here at Anakiwa 401 – it’s entirely up to you. Whether you would like to go walking, relax on a boat cruise, learn to water-ski or wakeboard, go mountain biking, wind-surfing, horse-riding, fishing or snorkelling. Or perhaps find some dolphins to admire or swim with, explore the famous Marlborough vineyards or be visually stimulated at the Omaka Aviation Heritage Centre – just let us know as we can help arrange any of these activities for you. Click on the links below to discover more. 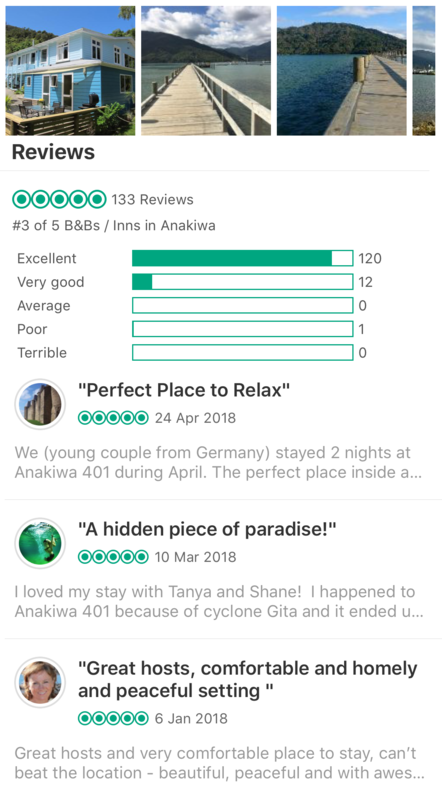 Don’t forget – if relaxing in our hammocks with a book or sitting enjoying the stunning views suits you better, then Anakiwa 401 is perfect for you too. 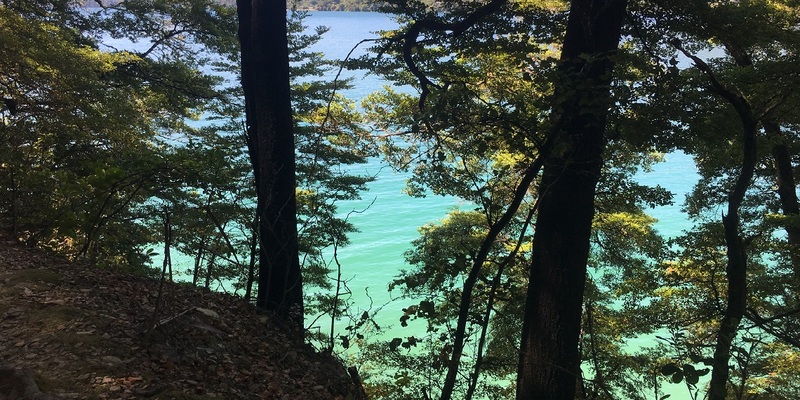 From historic Ship Cove to Anakiwa, Marlborough's spectacular 70km Queen Charlotte Track combines beautiful coastal scenery, native bush and stunning views of the Marlborough Sounds. Whether you walk or mountain bike (Sea Kayaking Adventure Tours have mountain bike hire locally), we're certain you'll have a wonderful experience on the Track. There is a walk to suit everyone - from short walks to Davies Bay with the family, to full day walks of up to 20km. Water Taxis are available to drop you off along the track or pick you up and bring you back to Anakiwa. 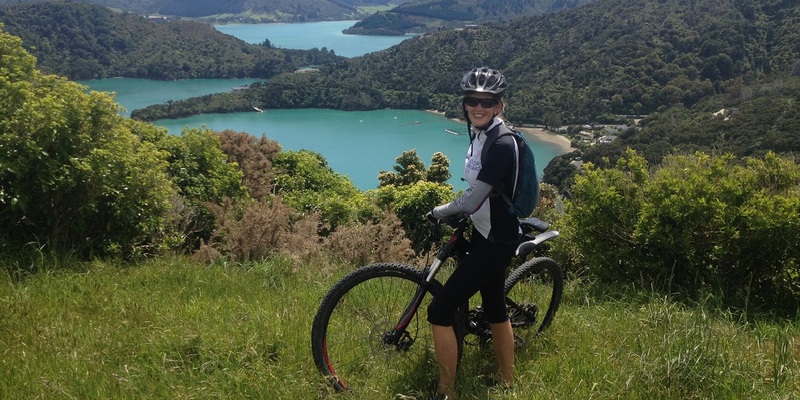 With the Queen Charlotte Track being a New Zealand 'Great Ride' and known as one of the best single track mountain bike rides in NZ, it's ideal for bikers too. The Marlborough Sounds area is abundant with wildlife, so whether you're in our garden, on the track or on the water, you'll hear or see many wild animals, from native bush & sea birds, to NZ fur seals & dolphins. Take a boat trip with E-Ko Tours to view these magnificent marine mammals living in the Marlborough Sounds or even go swimming with them - a truly wonderful experience. Enjoy a scenic wildlife cruise and guided walks on Motuara Island Bird Sanctuary or a visit to Kaipupu Point Sounds Wildlife Sanctuary - unique opportunities to see rare native NZ species in their natural environment such as the saddleback, south island robin and kakariki to name a few. 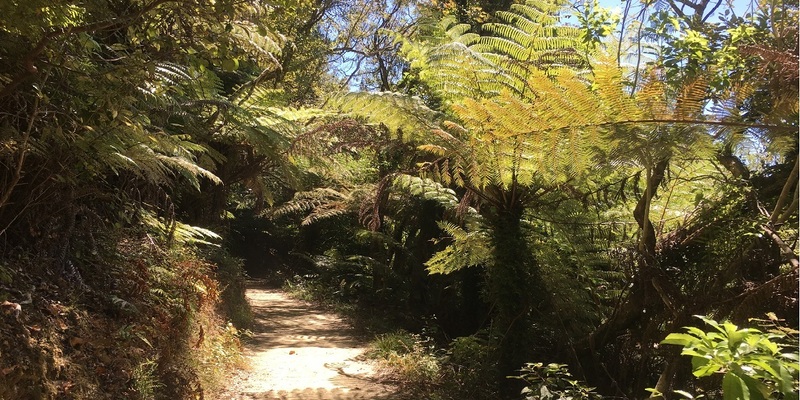 Anakiwa 401 is the ideal place for walking, not only because the Queen Charlotte Track is right at the end of our garden, but there are many tracks of various lengths. Just next door is the Outward Bound School cross-country track (20 min loop). Close to Havelock is the Coastal Loop Walking Track at the Cullen Point Lookout - a great 1 hour walk with views of the Mahau Sound & Mahakipawa Arm. For a slightly longer walk, there is the Cullen Creek/Waikakaho Walkway - this follows an old goldminers trail so its historically interesting starting with building remains of the former mining town of Cullensille. Or why not walk to the highest point of the Marlborough Sounds, Mt Stokes - on a clear day, the views are simply stunning (5hrs). Havelock 'World Green-lipped mussel capital', cafés/restaurants, Walks, Havelock Museum, Boat Cruises to Sounds, River Kayaking. Picton Cafes, Foreshore & Marina, the Edwin Fox Museum, scenic walks, Boat Cruises, Dolphin Tours, Diving, Mini Golf, Souvenir shops. Blenheim Vineyards, Omaka Aviation Heritage Centre, Vines Village, Makana Chocolate Factory, Wither Hills Farm Park, Marlborough Museum. Nelson Saturday Market, Arts & Crafts galleries & studios, Cafés & Restaurants, the Centre of New Zealand, Walks & MTB rides, Beach. Port Underwood from Picton drive along the scenic Port Underwood Road through coastal communities to beaches at Whites Bay & Rarangi. In addition to our own beach and bay right on our doorstep, there are plenty of other great spots close to Anakiwa 401 for safe swimming and perfect picnicking. Davies Bay on the Queen Charlotte Track is a 35min walk through native beech forest, until you arrive at the wonderful large sheltered bay. As is Governors Bay on the Queen Charlotte Drive - just a 10 minute walk down to this gorgeous place from the road. A sandy beach and grassed picnic area can be found a little further on at Ngakuta Bay. Pelorus Bridge Scenic Reserve (15min drive past Havelock towards Nelson) is a popular spot to go to & cool off in the Pelorus River on a hot summers day. There are walks of varied lengths here, as well as a nice café for refreshments. 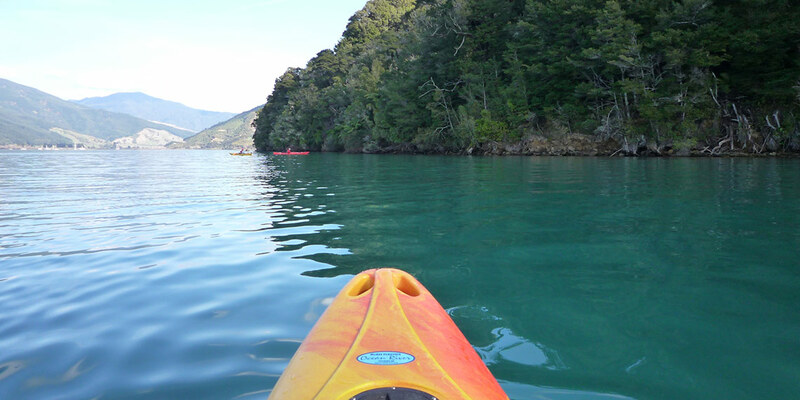 Another way to explore the clear blue water of the Marlborough's Queen Charlotte Sound is by kayak. Anakiwa 401 has safe, sit-on top kayaks available free for our guests to use during their stay but if you'd prefer to have the knowledge of a guide with you, Sea Kayaking Adventure Tours start their tours almost on our door step and offer guided trips from 1-5 days. You're sure to see some unique New Zealand wildlife on the water or along the coast, from birds to seals and maybe even a dolphin or two! Or why not explore Marlborough's pristine rivers with Pelorus Eco Adventures on an inflatable kayak adventure down the Pelorus River. You’ll even paddle where the barrel scene in "The Hobbit-The desolation of Smaug" was filmed. The waterways of the Marlborough Sounds make up a fifth of New Zealand's coastline, so it's not surprising there are a range of cruises and boating activities on offer. Go on the Greenshell Mussel Cruise departing Havelock Marina daily at 1.30pm, visiting a Mussel farm, learn about the industry & try the freshest steamed mussels, with a glass of Marlborough Sauvignon Blanc. From Picton, take a trip out to Arapawa Island for a Paua Pearl Farm Tour or the iconic Beachcomber Cruises Mail Boat trip through the Queen Charlotte Sound. 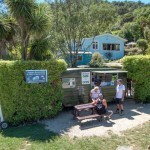 Or join the world famous Pelorus Mail Boat Run departing Havelock & experience the way mail & supplies are delivered to those living in the beautiful Outer Sounds, as it’s been done for decades. 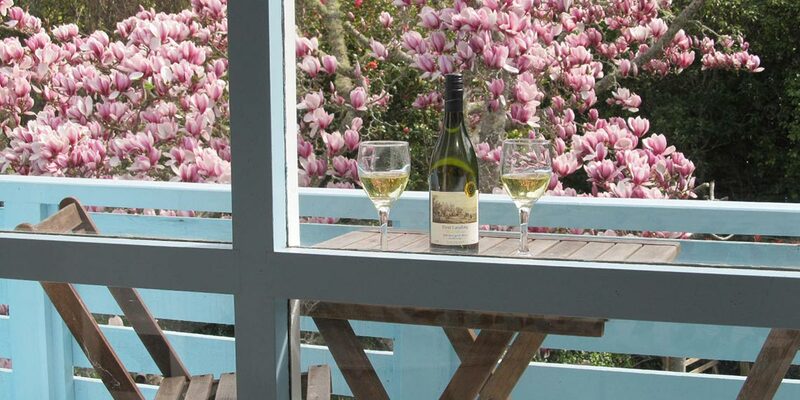 Marlborough is known worldwide for its award-winning Sauvignon Blanc wines. With over 140 registered wineries in the area, 40 of which have open cellar doors, you'll have plenty of wineries to visit where you can taste, buy and learn about the wine industry. 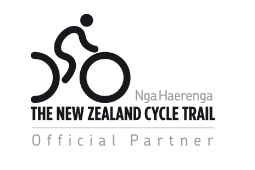 You can experience this, either on a guided tour with Sounds Connection, Bubbly Grape Wine Tours or Marlborough Wine Tours or self-drive following the Marlborough Wine Trail map or even by bike - cycling along flat, sealed, quiet rural roads with short distances between wineries. The wineries are great places to stop for lunch or coffee - beautiful buildings set in some stunning locations, often with fantastic views. Sounds Connection provides quality Fishing Charters on the famous “Sea Bud” launch in the calm waters of the Queen Charlotte Sound, departing from Picton. Or out of Havelock, join Pelorus Sound Water Taxis Fishing Trips and have the chance to hook a Snapper, Kahawai or Yellowtail Kingfish in the Outer Sounds. Alternatively, why not sit on the end of the Anakiwa Jetty with a rod, watching the sunrise or set in the stunning Queen Charlotte Sound. Or if you want to go underwater and dive for scallops, crayfish or explore the Double Cove Marine Reserve or the marine growth and animal life on ship wrecks, then Go Dive Marlborough in Picton can help.